Mesothelioma cancer and its treatment may cause a variety of side effects. These symptoms can diminish a patient’s ability to eat well and lead to unintentional weight loss — a person losing weight without trying. 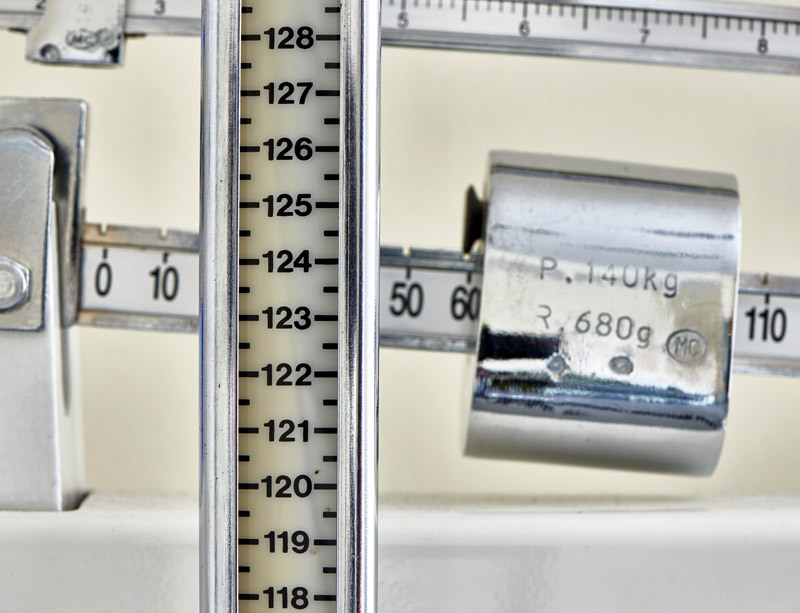 Some patients put a positive spin on cancer-associated weight loss. Unfortunately, losing weight unintentionally during treatment can make your treatment harder and less effective. If your weight is decreasing and you’re not on a diet, it’s a red flag. Under normal circumstances, weight loss can benefit your health if you carry excess fat. However, cancer treatment is far from a normal situation. With cancer, the body often cannot respond to weight loss in a healthy way. This is particularly true if the weight loss is unintentional. The stress and inflammation on the body during cancer care can prevent the use of fat for fuel. This is true even in people who carry excess body fat or have been told they are overweight or obese. Instead, patients end up losing lean tissue. Lean tissue is made up of muscle, organs, red blood cells, platelets and immune cells. This is why losing weight unintentionally during cancer treatment is so harmful. Not only do you feel weak and fatigued from losing muscle mass, but the very cells and tissues needed to keep your immunity and your body strong through treatment are depleted. This can lead to more severe treatment side effects, treatment dose reductions and breaks in scheduled therapy. These things hinder recovery and make it harder to reach your treatment goals. Who Loses Weight During Cancer Treatment? Anyone with cancer can lose weight during treatment. However, certain cancers significantly raise the risk of unintentional weight loss. People with malignant mesothelioma, myeloma or cancers of the lung, head and neck, kidney, esophagus, pancreas, stomach or intestinal tract often experience unintentional weight loss during treatment. Cancer patients can require more protein and calories than usual to meet basic nutrition needs, withstand cancer therapy and recover. An April 2018 study published in the British Journal of General Practice found many cancer patients lose weight without trying before treatment even begins. Some treatments cause pain when eating and an inability to properly digest food and absorb fats, carbohydrates, vitamins and minerals. Although it sounds scary, a feeding tube and special nutritional formulas can be lifesavers. All of these things highlight the importance of consulting with a registered dietitian who can develop a tailored plan to meet each patient’s individual nutrition needs. Eat Often: Enjoy multiple small meals throughout the day instead of three large ones. Snack Frequently: Snack whenever you are hungry. Enjoy what you like without guilt about healthy or unhealthy foods. Make Liquids Count: Focus on high-calorie liquids. Try smoothies with protein powder, bananas and peanut butter. Skip Empty Calories: Avoid large amounts of tea, coffee or diet drinks and foods. Sip Sparingly: Have most liquids after meals. Liquid can fill you up before you have a chance to consume the nutrient-dense foods on your plate. Focus on Protein: Include poultry, fish, eggs, beans, nuts or peanut butter at each meal or snack. Juice It: Juice fresh fruits and vegetables to obtain nutrients without filling up. If you don’t own a juicer, blend fruit or vegetables with water, then strain with a cheesecloth. Cheesecloth is inexpensive and available at most grocery stores. Have Breakfast for Dinner: Consume your favorite foods any time of day. If you love breakfast foods, have them for lunch or dinner. Mesothelioma treatment can take a toll on your ability to eat well. Ask your doctor or nurse for a referral to a registered dietitian who is a cancer nutrition specialist.